An organic light-emitting diode (OLED) is a light-emitting diode (LED) in which the emissive electroluminescent layer is a film of organic compound that emits light in response to an electric current. This layer of organic semiconductor is situated between two electrodes typically and at least one of these electrodes is transparent. 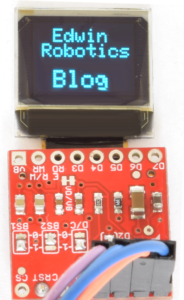 The Micro OLED Display used in this tutorial is a small monochrome, blue-on-black OLED. It’s 64 pixels wide and 48 pixels tall, measuring 0.66″ across. It’s micro sized and sufficient enough to fit a deceivingly large amount of graphics on there. 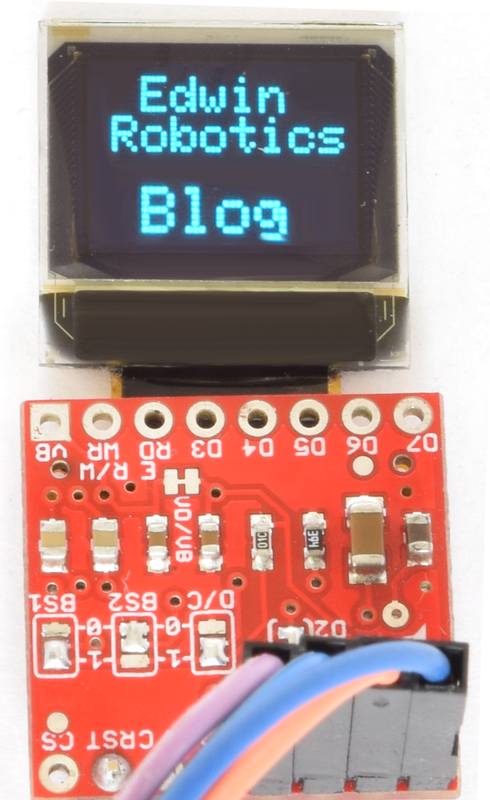 this Micro OLED is easy to control over either an SPI or I2C interface. 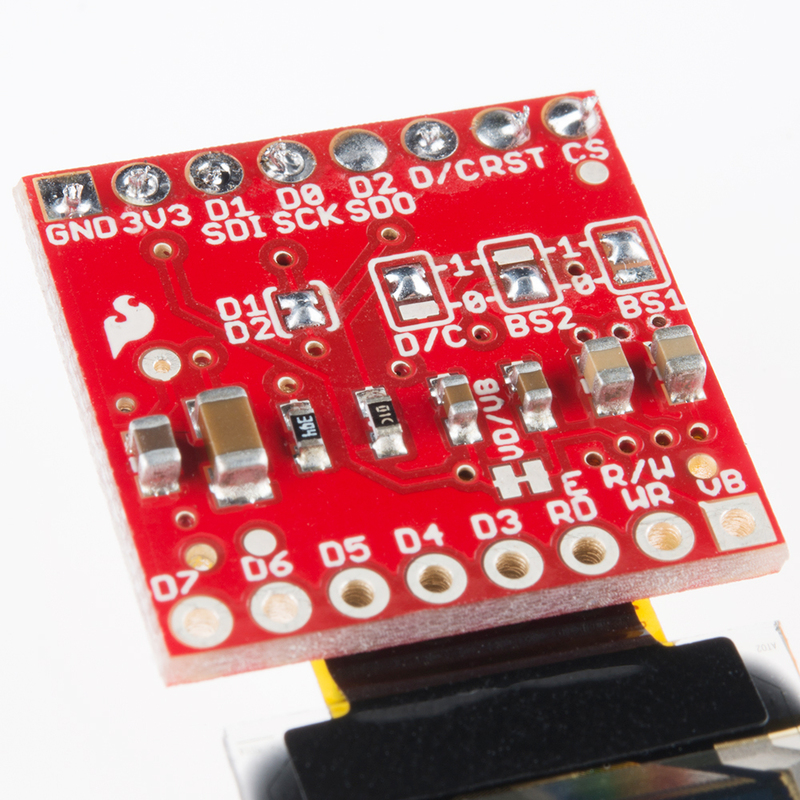 Sparkfun have the breakout board for this display, its easy and time saving to use the same breakout for any projects.This Micro OLED Breakout provides access to 16 of the OLED’s pins. This breakout board operates at 3.3V with a current of 10mA (20mA max).The Micro OLED present in this breakout is same as Display used in the SparkFun MicroView – OLED Arduino Module. 3V3 (VDD) Power Power Should be a regulated 3.3V supply. D2 (SDO) MISO — Can be unused in SPI mode. No function for I2C. D/C Data/Command I2C address selection Digital pin to signal if incoming byte is a command or screen data. RST Reset Reset Active-low screen reset. 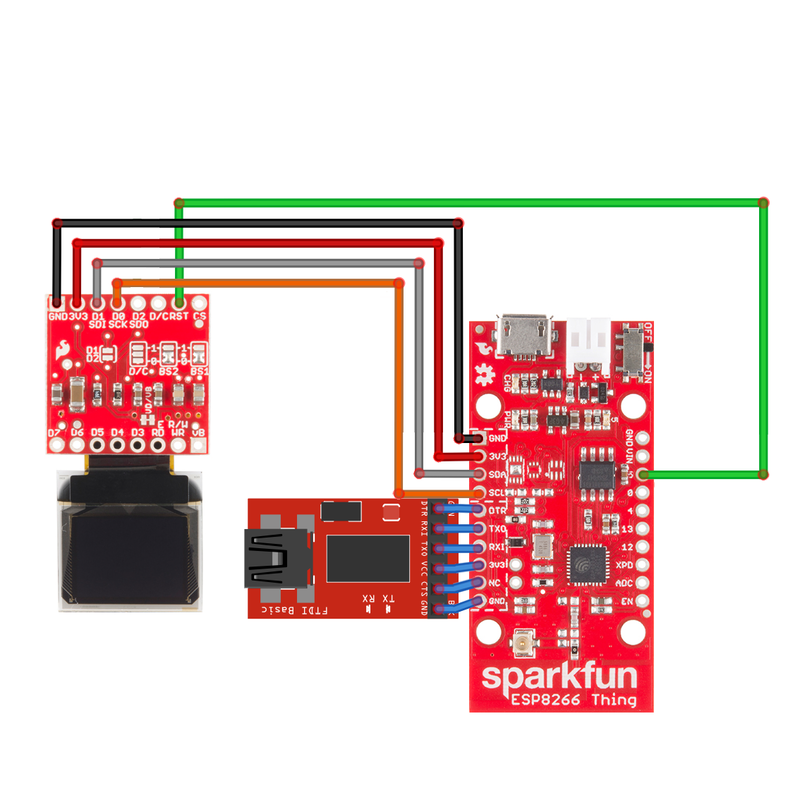 Sparkfun has provided detailed hookup guide on their blog to setup the OLED breakout board.Follow the links below to see the detailed Instructions. 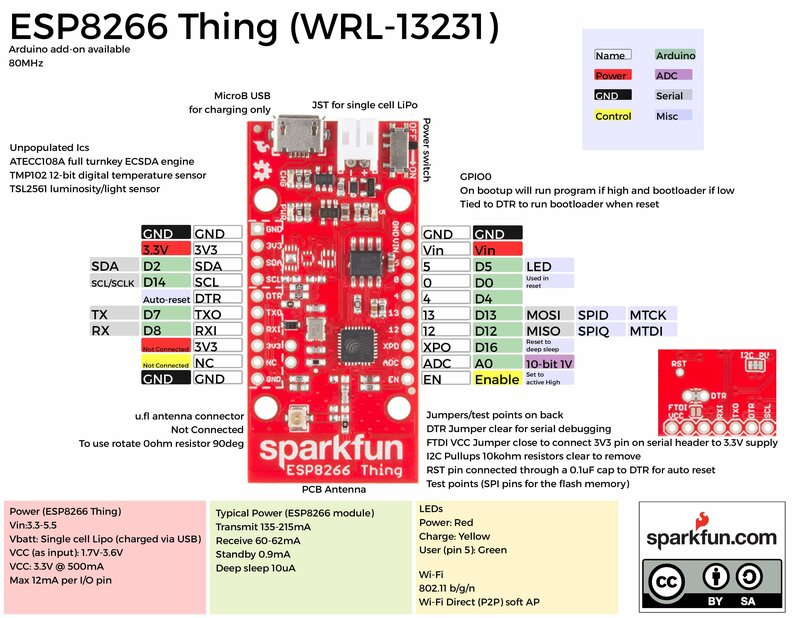 When we tested the board with Sparkfun library we faced some issue with displaying text, thus we made changes to library and sorted out the issue. The library is available to download from GitHub, Click here to download the library. When you use this Library, make sure you either replace the Sparkfun library or remove and make a backup of the Sparkfun library from the Arduino. 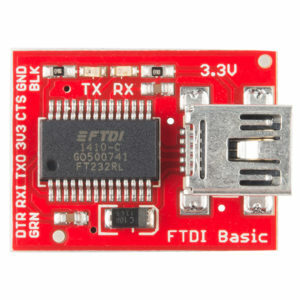 Short D1/D2 – This will combine the data output line and data input line into one. Set BS1 to 1 – The BS1 jumpers comes defaulted to 0, which does half the job of setting it to SPI. To set the display to I2C, you’ll need to flip that jumper to 1. Also make sure the BS2 jumper remains set to 0. Set D/C – In I2C mode, the D/C pin configures the display’s 7-bit address. You can set it to either 0 or 1, just keep that value in mind when you get to the code part of this tutorial. 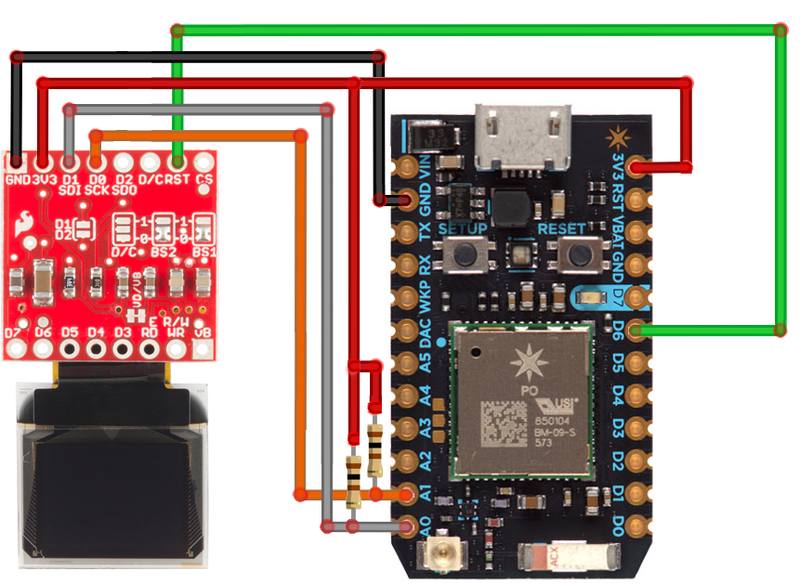 Follow the above shown connections for I2C interface between OLED and ESP8266 Thing. Any Digital pin can be connected to RST(Reset) Pin of OLED, we used Pin number 5 from the ESP8266 Thing. 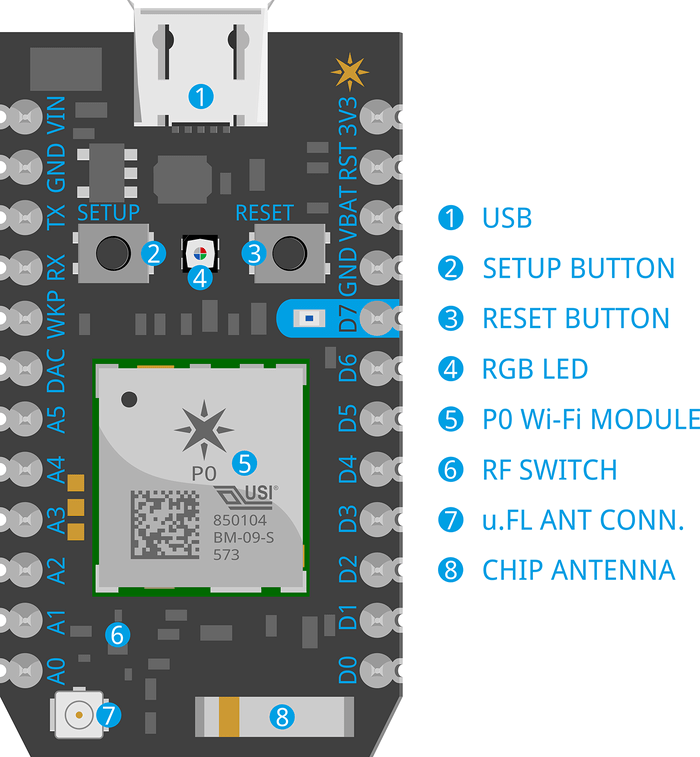 Note: Pin 5 on the ESP8266 Thing is connected to onboard LED, we tampered the tracks to LED to disable it. Try out the following code on the ESP8266 Things and check whether your board is working fine or not, We used the modified library (The link to download the library is mentioned above), make sure you must use the same to made it work. // clear(ALL) will clear out the OLED’s graphic memory. // clear(PAGE) will clear the Arduino’s display buffer. 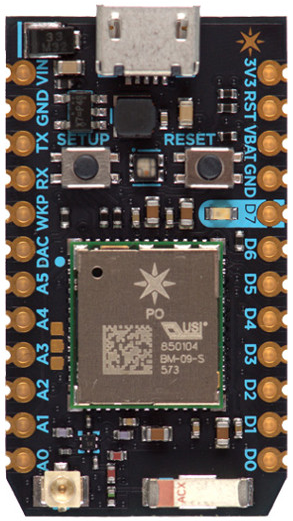 The Photon is a development kit for creating Wi-Fi connected products. It’s based on Broadcom’s WICED architecture, and combines a powerful STM32 ARM Cortex M3 microcontroller and a Broadcom Wi-Fi chip (the same one that’s in Nest Protect, LIFX, and Amazon Dash). Click here to see the Complete Datasheet for Particle Photon. To hookup the OLED with Photon in I2C mode is pretty much same as what we seen with ESP8266 Thing except this point that both the SDA and SCL lines must be pulled high always. Refer the connection diagram for better idea. Pullup is the thing you need to take care of, we used 10kΩ Resistor for pullup and connected it to 3v3 supply line as shown in the figure. We recommend you to start with Particle Build(Online), the Particle Build IDE is an always-online, browser-based portal where your Photon code can be edited, saved, and shared. This cloud-based IDE handles code compilation and flashes the built binaries to your Photon over-the-air. You don’t even need your Photon next to you to update its program! To load the Build IDE head over to build.particle.io. 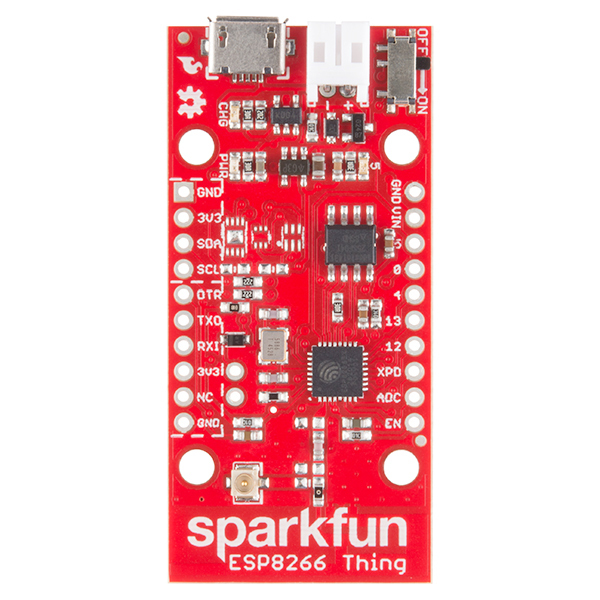 Sparkfun has provided more detailed Instructions for the beginners to understand the IDE better, Click here to see the Particle Build(Online) guide. Similarly they provided instruction to understand Particle Dev(Half Online, Half Offline) guide and ARM GCC and the DFU Bootloader (Offline) guide. Add your device to the Particle Build. Open the app on your phone. Log in or sign up for an account with Particle if you don’t have one. Check under devices tab that whether your devices is listed or not, if not try to add it using mobile app. Add micro OLED library to current App. There you will see SPARKFUNMICROOLED Library, Click ” Include in App ” option. Save the App using save option. // There are 255 possible characters in the font 0 type. // Lets run through all of them and print them out! // their ASCII equivalent character. // We can only display 60 font 0 characters at a time. // the page and start over. // to display every character defined in this font. // Demonstrate font 2. 10×16. Only numbers and ‘.’ are defined. // This font looks like 7-segment displays. // Demonstrate font 3. 12×48. Stopwatch demo. Care must be taken to initialize object in the code for I2C communication, use the following parameter for declartion based on your application. Refer the shown connection chart below for SPI connection. Make sure to initialize these connected pins in the object declaration. Note: Use any one of the SPI peripheral of the photon. MISO pins can be unused. The connections seem correct, unless I have missed something. Do let me know which image you are referring to.